On the 5th of September every year, India celebrates Teachers’ Day in honour of S. Radhakrishnan, a great philosopher and statesman who went on to become the first Vice President and the second President of independent India. He is famously known to have said that “teachers should be the best minds in the country”. On this day, each year, we celebrate our teachers in different ways. Schools and colleges organise events to honour, celebrate and entertain teachers while also placing students in charge of administration and teaching. We all carry fond memories of events which facilitated opportunities for role-reversal where teachers are freed from classroom teaching that is handed over to eager students. The day brings joyful attention to the teaching-learning process while also commemorating the birth of a great Indian teacher. This morning on Masala Chai, we break our weekly schedule to bring you another tribute to Dr. Anandalakshmy by our friend Dipali Taneja. When Dipali sent me her essay, I was charmed to read her nuanced portrayal of Dr. Anandalakshmy and decided to share it on MC as well. For her students, Dr. A had been rather ineffable, often imposing. When my close friend Kiran Kler heard the news of her passing, she wrote, asking: “What? Just read your post…. Dr. A passed away? Why did I think she would live forever?……. and she will, I know. Her contributions, her memories………..let’s toast to her life together when we meet”. Kiran is right, Ana lives on in our lives. 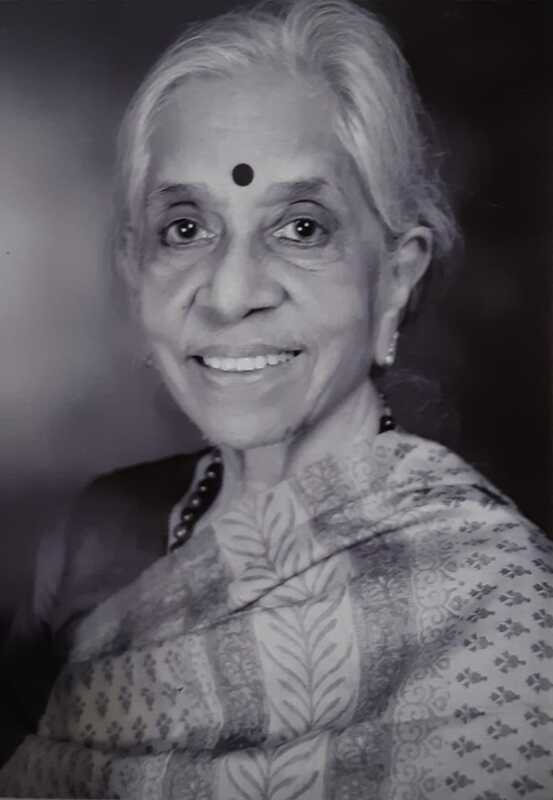 Whenever two or more of her former students got together, invariably, our conversations would drift towards our shared memories of Dr. Anandalakshmy. 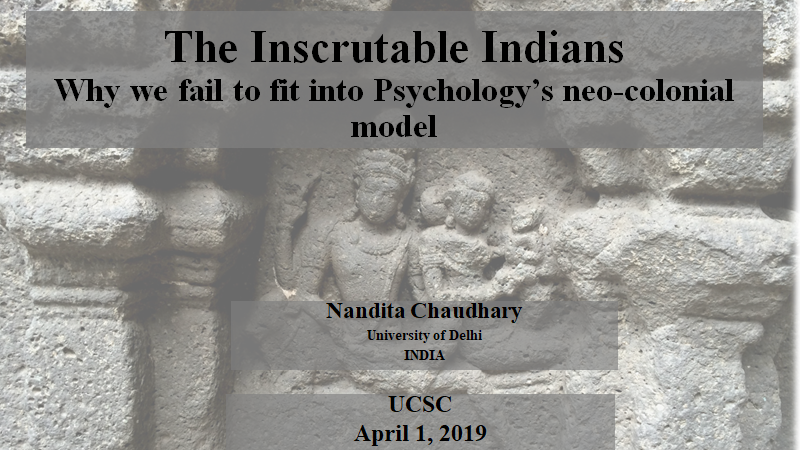 I remember distinctly that once, at a TISS conference in Mumbai in the nineties, our group of Child Development scholars from different places, reflected on our conversations, realising that every time we meet, we spend hours hours discussing our respective ‘gurus’. I recall also that we were quite amused about how much there was to say about these exceptional teachers. Dr. Anandalakshmy, Anand, Dr. A, Ana………… Andy? Really? For her close friends, Dr. Anandalakshmy was known affectionately as Anand. But somehow, some of us never graduated to that, mostly addressing her as “Ma’am” or even “Dr. A”! Although Dr. Anandalakshmy was quite aware that among ourselves we called her ‘Ana’, there was no way of knowing if she ever accepted the….. um……sobriquet. I guess it was neither appropriate nor adequate, but for some reason, it stuck. Recently, a former student of the college (not the Department), Geeta Brara, referred to her as “Andy”, and I too remembered that the hostelers at Lady Irwin used to call her that. I had forgotten. In the year 2009, our friend Dipali, who has also written for us at Masala Chai before, wrote a piece for Dr. Anandalakshmy, which she sent to us to post this week in her memory. The essay explores with affection and admiration, a person who’s presence in our lives significantly transformed the ways in which we, her students, approached and understood the world around us. Thank you Dipali, for sharing this dedication with us. I cannot think of anything that Ma’am is not interested in. Be it cricket, photography, fiction, poetry, trees, crossword puzzles, classical music, jazz, handicrafts, clothes, birds, politics, travel, art, and so much more, she will always have some fascinating nugget to share with you, if not actual expertise. Her intellectual stature and achievements are formidable. Her greatest gift to her students is, however, far beyond erudition. It is the gift of responding to the world around one with enthusiasm. Her matter-of-fact responses to the toughest of personal problems also becomes a source of strength. She has the much needed ability to reach the core of a problem, to eliminate all irrelevant side issues, and to focus on what is really important. I don’t think that Ma’am thinks of herself as a style icon, but, in her own way she has most definitely been one to many of her students. In a recent post, Kiran asks, who are your well dressed icons? I didn’t really have to think very much to realise that my icon was Ma’am! She wears the most amazing handloom sarees with elegance and grace, in both silk and cotton and even the occasional polycot in rainy weather. She has a collection of necklaces and bangles that accentuate each saree, many of them from different parts of the world, each with its own story. She has even gone and bought an expensive silk saree to match a beautiful malachite necklace that she acquired on one of her many travels, leaving the salesman quite surprised. (Peripatetic is a word that often comes to mind when I think of her.) An exhibition of her various bangles and beads would be most educational. Many of her sarees are works of art. Talking of art, she has known many artists, authors, dancers, actors, musicians. A visit to her home is always enriching – the paintings, books, photographs and music that abound are a feast for the soul. And talking of feasts, meals with her are always exciting: there is often something exotic from another part of the globe, or a traditional pickle that I’ve never had before. Our conversations across the dining table can continue long after the meal is over- we finally clear up after lunch to discover that it’s time for tea. And yes, her teas are interesting too! Teachers’ Day is a wonderful opportunity to share you with all my friends on the blogosphere, Dr. Anandalakshmy. Here’s wishing you a wonderful Teachers’ Day, 2009.